The man who would become Dalhousie’s first non-clergy president, Arthur Stanley Mackenzie (1865-1938), lived a life that wove its threads through the university’s walls and halls, time and time again. 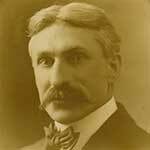 Born in Pictou, N.S., Dr. Mackenzie first came to Dal as an undergrad in 1881. He thrived in both academics and athletics: his six-foot stature lent itself to time on the school’s first rugby team, and his natural ability for science earned him the Sir William Gold Medal in recognition of excellence in math and physics. After receiving his doctorate at John Hopkins University in Baltimore, Dr. Mackenzie began a career as a widely admired physicist, researcher and professor. He was published in prominent scientific journals, wrote The Laws of Gravitation (a book on the scientific contributions of Newton, Bouger and Cavendish) and shared his wealth of knowledge with curious students as a professor at several post-secondary institutions across North America. That second love, Dalhousie, came calling once again in 1911, at a time when he was working as a researcher at Johns Hopkins. The Board of Governors asked him to serve as president — Dal’s first without “Reverend” in front of his name — and he eagerly accepted. During his two decades as president, Dalhousie won international awards, increased enrolment and brought the University of King’s College to Halifax in a formal affiliation. Not only did he completely rework the administration and seek out the funds to build the school’s first female dormitory, but Dr. Mackenzie was instrumental in the Dalhousie Forward Movement, which raised almost $450,000 for construction of the Studley Campus. Quiet, duty-focused and weary of pretense and self-promotion, Dr. Mackenzie took the university’s motto — Ora et labora (pray and work) — to heart, quite literally: his advice to new members of staff was often just “Work!” He retired in 1931, departing as a dearly respected man. When he died suddenly of a stroke seven years later, nearly the entire university attended the funeral, along with peers from across Canada.